The PCISOUND5CH2 PCI Surround Sound Card lets you add 5.1 channel audio to a desktop PC through a PCI slot, giving you audio output, and microphone/line input via 3.5mm mini-jacks. 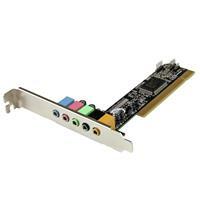 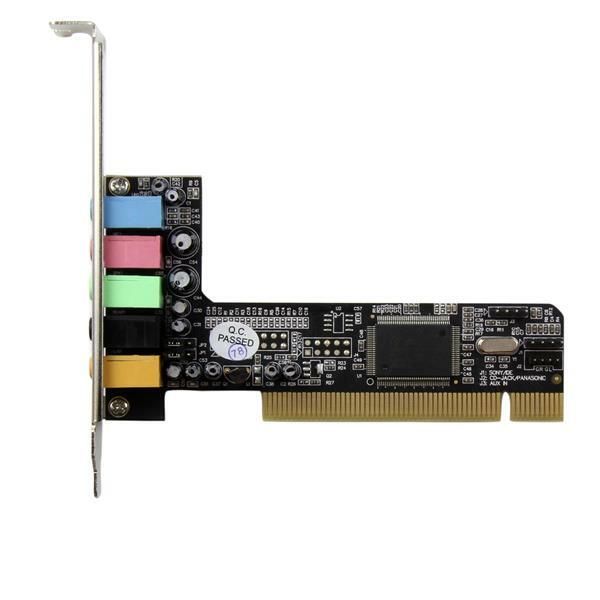 A cost-effective multimedia solution for delivering high quality surround sound, this PCI sound card lets you enjoy full-duplex, 48KHz/16bit audio playback/recording, and offers support for HRTF 3D positional audio, Microsoft® DirectSound®, DirectSound 3D®, and A3D®. 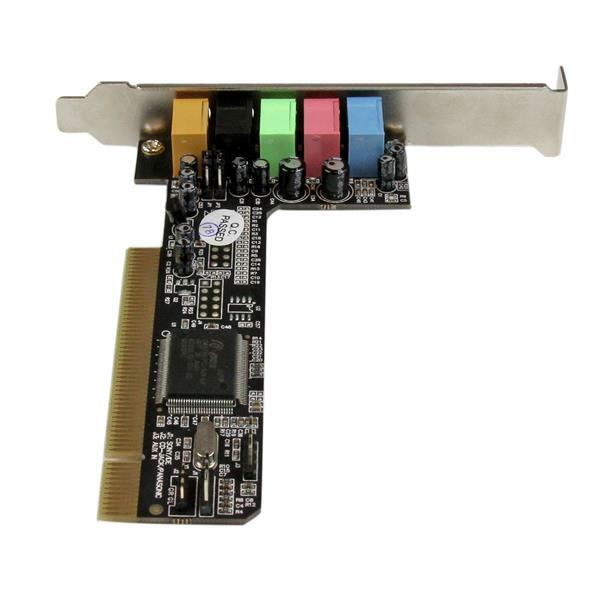 Three internal auxiliary input connectors let you connect your CD drive directly to the sound card. 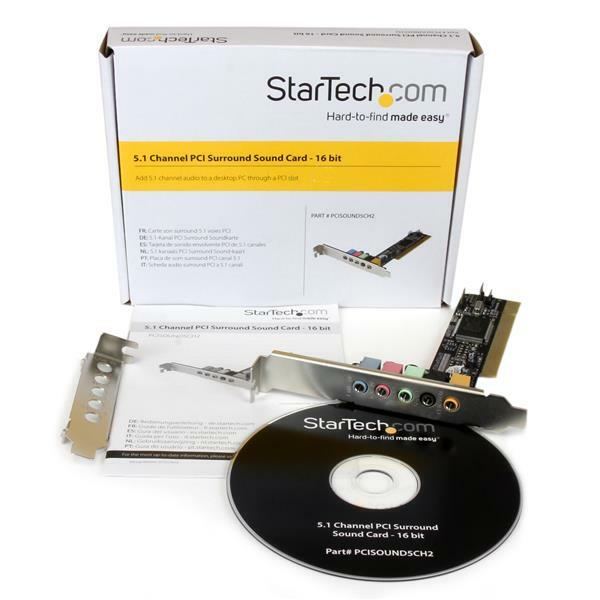 If your drive features external control buttons, the card allows playback without impeding your computers performance. 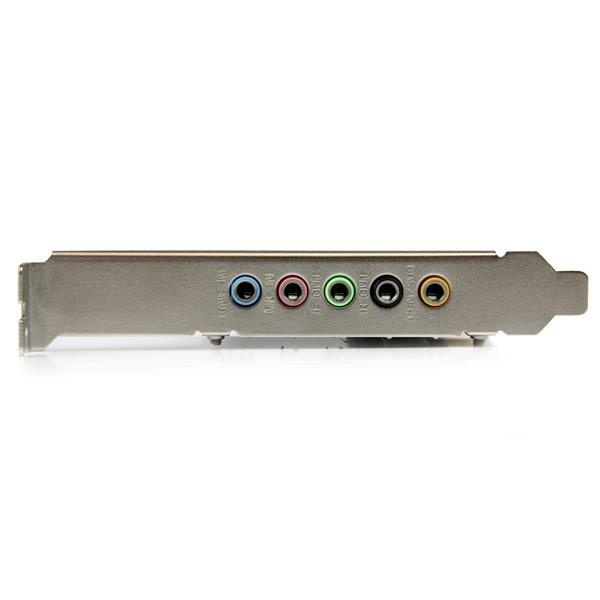 With support for PCI v2.2 and an included low profile/half-height installation bracket, this sound card is an ideal home theatre PC solution that’s perfect for your standard or small form factor (SFF) PC.